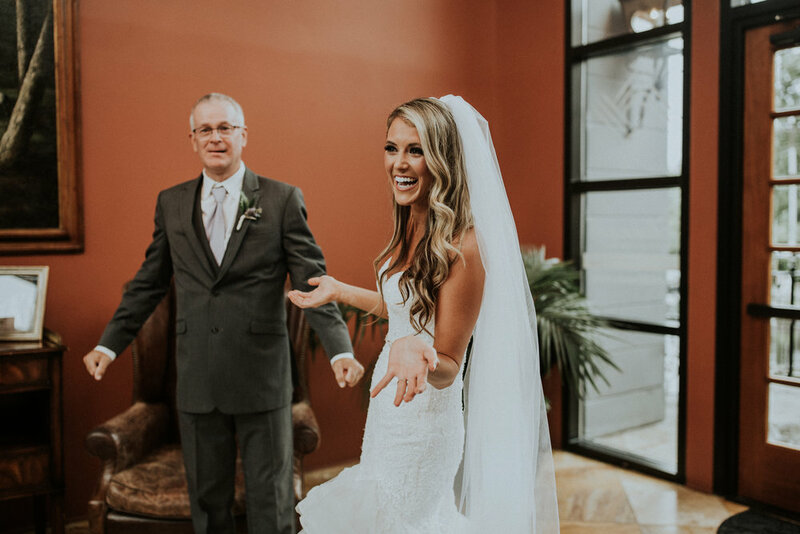 The couple got engaged on August 2, 2017. After a long day at work, they went to dinner at Village Tavern. 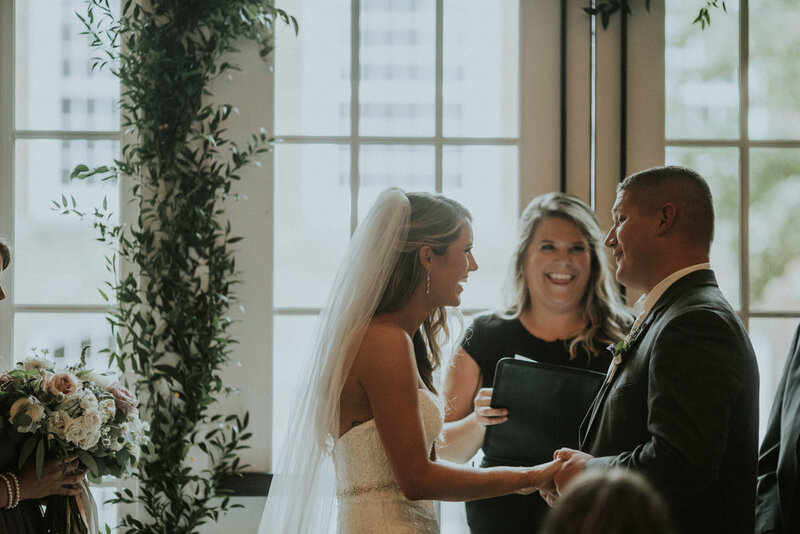 The couple’s biggest takeaway was that you should ALWAYS have an indoor option, especially during hurricane season! 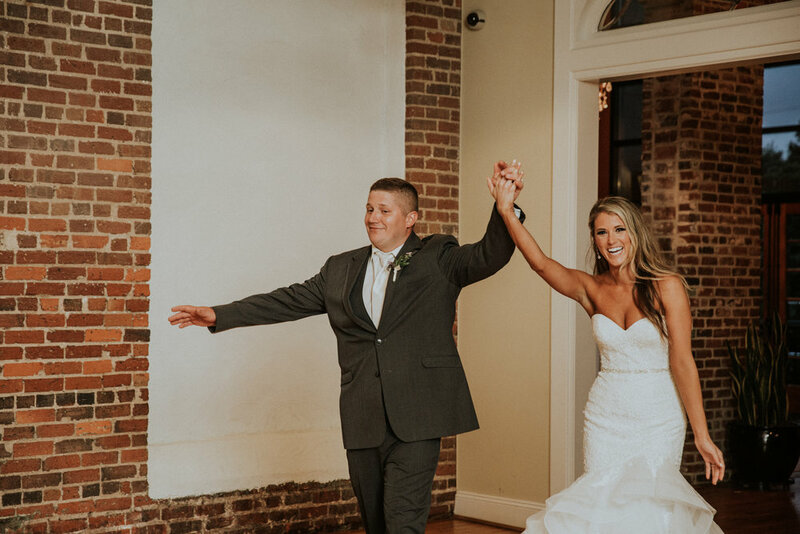 Luckily, Revolution Mill Events works with every couple to make sure they have a backup plan in place, just in case the worst case scenario happens. 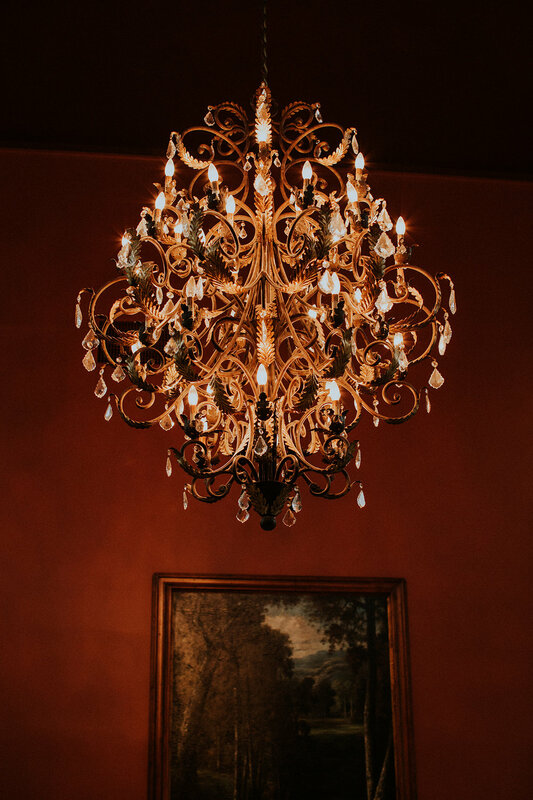 Preparing a thorough rain plan ahead of time ensures you’ll love every element of your day and won’t have to stress about little details day of. 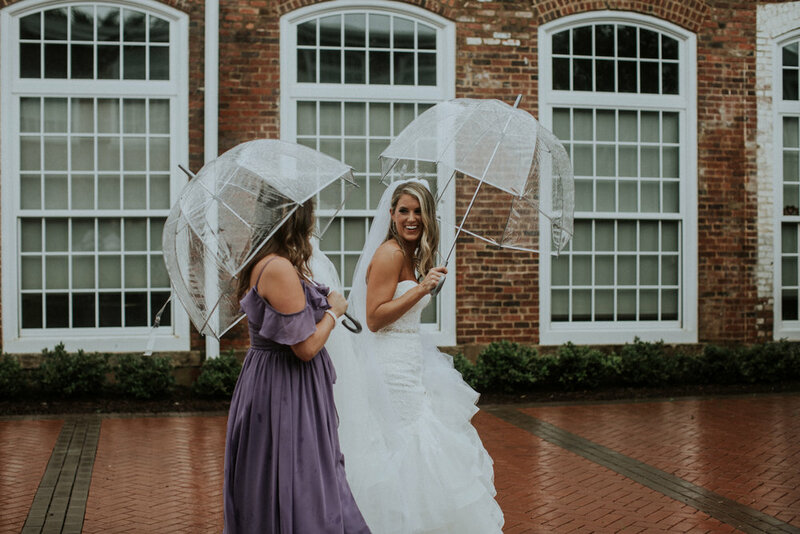 We can’t thank each vendor enough for going above and beyond to make the couple’s wedding day great… even in adverse conditions! 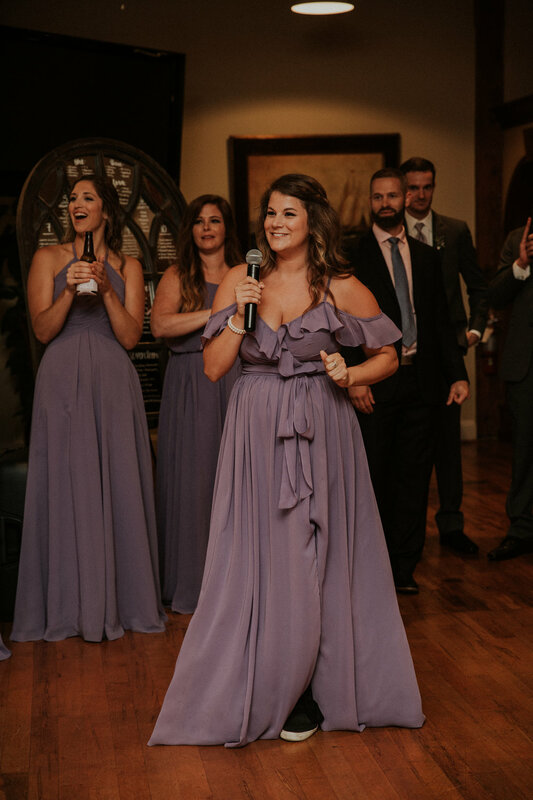 Allyssa and Dustin opted for a color scheme of purple, blush, gray, and gold. The décor featured several DIY elements, including a handful of personalized signs. 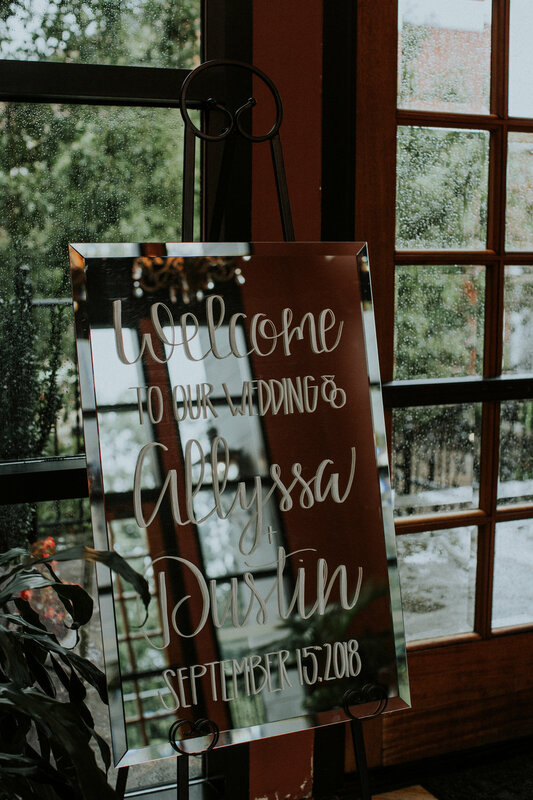 Allyssa said she loved creating the personalized mirror signs, which included the welcome sign, bridal party, and seating chart. The wedding party enjoyed a cocktail hour with passed appetizers that included caprese skewers; cheddar biscuits filled with Virginia ham, granny smith apples, and honey mustard; and bacon-wrapped sweet potato. Multiple guests, including the bride, were vegetarian, so meatless cheddar biscuits were prepared for them. The dinner buffet included tossed garden salad, grilled chicken breast, oven roasted vegetables, smashed potatoes, and assorted rolls. The vegetarian entrée was a zucchini boat stuffed with chickpeas, Mediterranean vegetables, and balsamic glaze. A family friend made the dessert buffet. 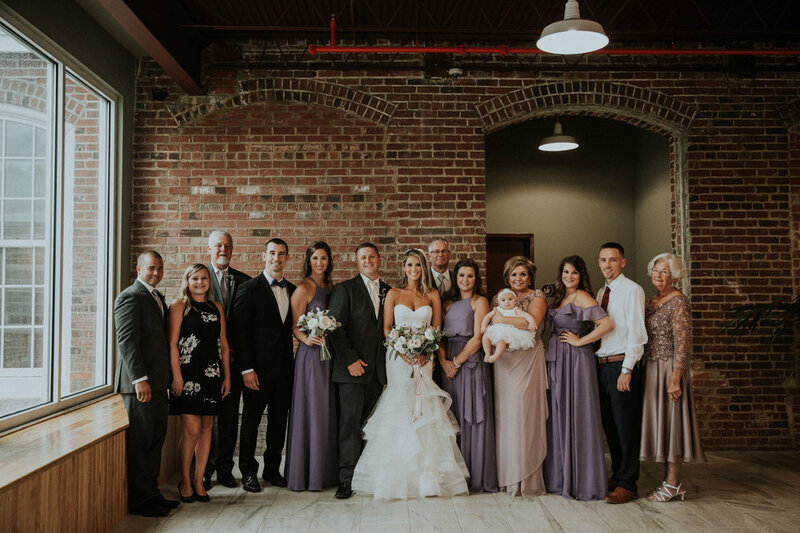 The groom’s grandfather grew up in the Mill – and this special connection to The Colonnade made the couple’s decision about venue even easier. 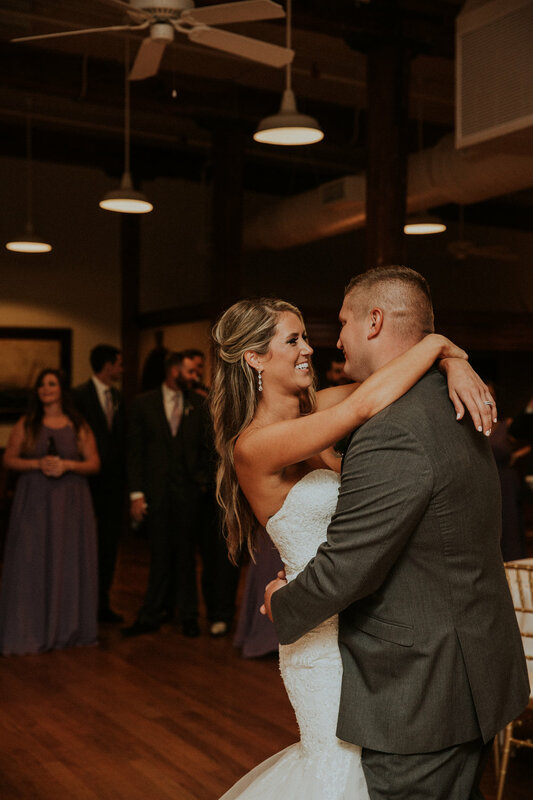 They were also drawn to the old industrial beauty of the space and the windows.